Tile roofs offer many advantages including the fact they look great. However, it’s important to make sure your roof tiles are well maintained, so they remain at their best. 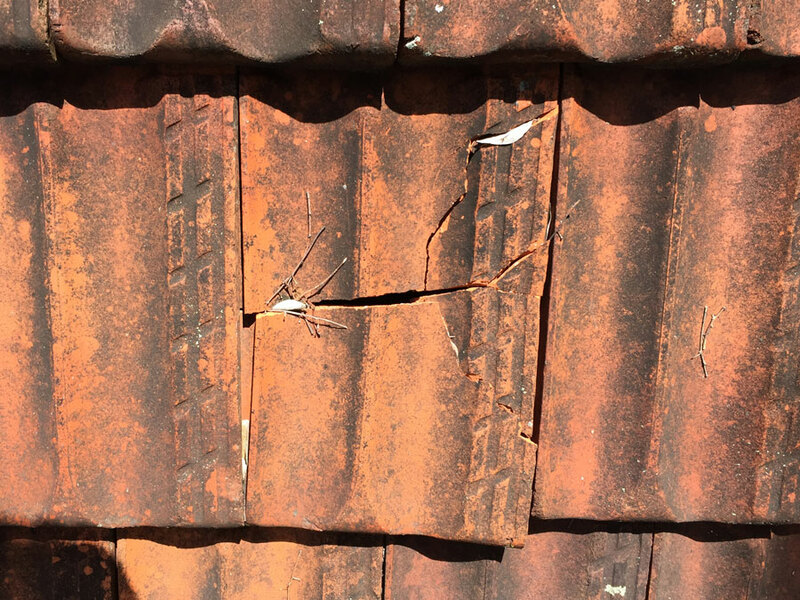 If you’ve noticed roof tiles with cracks or some roof tiles seem out of place or even if you’ve experienced roof leaks, these are sure signs you need to act. If you search online for terms like, ‘Roof Tiles Brisbane‘, ‘Roof Tilers Brisbane‘, ‘Tile Roof Restoration Brisbane‘ or ‘Tile Roof Repairs Brisbane‘, you’ll find a large number of options, but only one company who has the skills and experience to do a truly exceptional job. 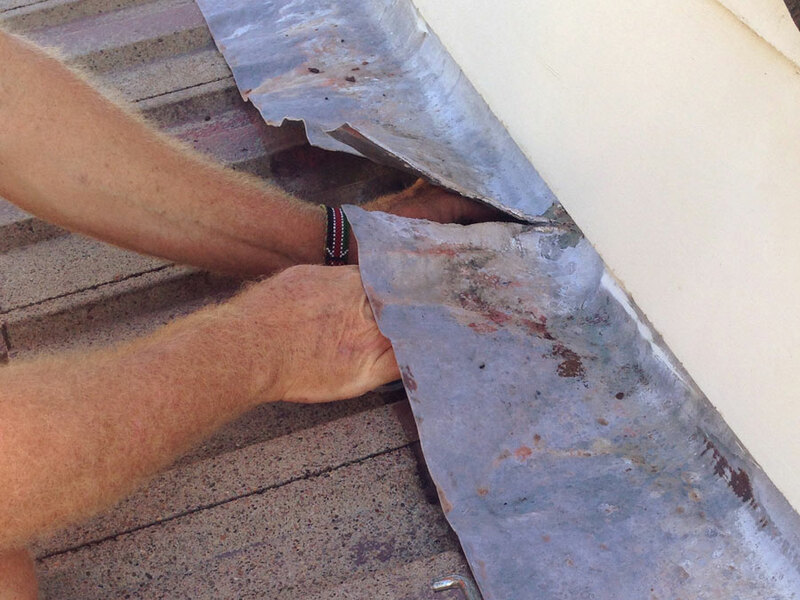 Here at Strongguard, we’re experts when it comes to Brisbane roof tile repairs and restoration. We have a team of expert Brisbane roof tilers who are always ready to work with you to investigate any issues with your tiled roof. Our tiled roofing restoration specialists always take the time to diagnose leaks properly, so that you are guaranteed the best solution. To repair your roof tiles, we use only the highest quality materials. This helps ensure that you don’t encounter any more leaks in the future. At Strongguard, we offer safe work practices, great service and an efficient rate of turnaround. Tiled roofs comprise many different parts and features. These features include ridge capping, tiles, valleys and flashing – all of which need periodic maintenance. If you leave broken tiles or rusted valleys for too long, they can develop leaks. For this reason, it is always ideal to stay one step ahead when it comes to roof maintenance. That is where the team here at Strongguard can help. Our expert Brisbane roof tilers can replace broken tiles and capping, repair or replace rusted valleys and flashing, and replace leaky clips. We understand that you want your roof to look good and keep your home protected. For this reason, we often replace broken tiles with second hand ones to colour match your roof. Second hand tiles allow us to match the colour and texture of your roof, so the repaired areas will not stand out. There are many advantages to having your tiled roof repaired as soon as you spot a problem. A good tile repair job, such as the ones we offer at Strongguard, will ensure that your roof is watertight and ready for almost anything. This means that any leaks your might have noticed will be gone. 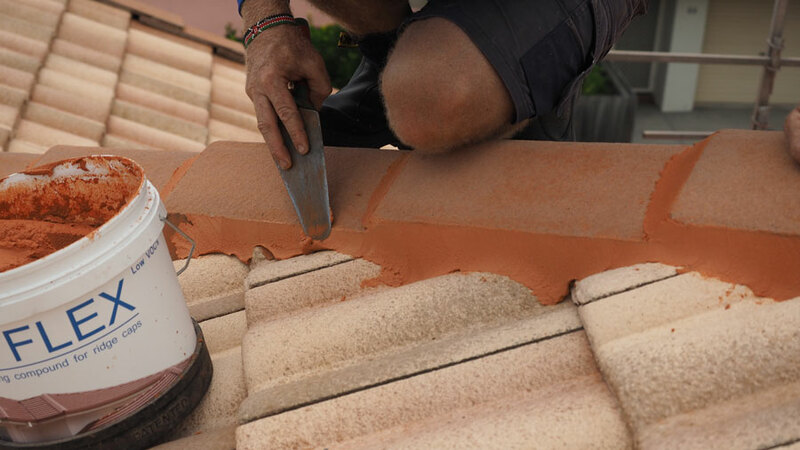 To guarantee the best roof tile repairs in Brisbane, we have developed a thorough approach to our services. We strive to offer unrivalled quality by making sure that all bases are covered. Our step-by-step process allows us methodically inspect your roof for issues, before addressing them with targeted solutions. All of our tile repairs are done using the highest quality components and materials. As a result, our roof tile repairs not only restore the quality of your roof, but also improve it. The first stage of our tiled roof restoration involves addressing your tiles. First, we remove any old broken tiles and dispose of them in a responsible and clean manner. Following this, we source tiles that match your current roof. We recognise that you want high quality roof repairs, which is why we are careful to match your replacement tiles, with your old ones. This ensures that the repair job blends in. Once we have the replacement roof tiles, we install them in place of the damaged ones. The first step of the capping process is to remove old bedding cement. After removing this, we clean the roof thoroughly to remove debris, before laying a new layer of bedding cement, including weepholes to allow moisture to escape. By this stage, the roof surface is ready for the new caps to be installed. When the caps are fitted, we apply a flexible pointing product, to seal the caps to the tiles. By using a flexible product we allow some movement in the tiles, which prevents cracking. When replacing valleys, we always use new ZINCALUME® Steel or COLOURBOND® Steel valleys. These products offer industry-leading durability and will not rust when subject to harsh weather. In addition to replacing your valleys, we also replace lead flashings. To do this, we use a lead replacement called Wakaflex flashing. This offers a high degree of malleability, which helps provide a very tight seal. Finally, we will replace any old clips if they are leaking or otherwise damaged. Do you have a tiled roof that needs a bit of attention? Contact the team at Strongguard today. We offer high quality roof tile repairs across Brisbane and we will happily discuss your options with you. Simply give us a call or fill out our online contact form. We will look over your enquiry and get back to you with the information you need. #1 Are you able to match the replacement roof tiles with my existing one? Here at Strongguard, we know the value of a good-looking roof. The roof of your home is clearly visible, which is why we strive to ensure that your tiled roof looks immaculate. When repairing your tiled roof, we source tiles that match your existing roof tiles exactly. In fact, we even source second hand tiles when necessary, to get the right colour and design. Whether they are second hand or not, you can rest assured that the replacement tiles we use for your roof are of the highest quality. We have several reliable suppliers when it comes to second hand tiles, however in the event that we cannot match your tiles, we can still help. If we cant find the exact tiles that are on your roof, we will simply relocate the replacement tiles to an area of your roof that is not visible. This means that even though some tiles are different, your roof will still look amazing. On top of this, you also get the assurance of a quality roof tile repair, from the best tile roofing restoration specialists in Brisbane. #2 Can you fix my leaking tile roof? The team at Strongguard specialise in repairing or restoring damaged tile roofs and fixing persistent leaks. Over our twenty years of operation, we have refined our tile roof repair services to ensure they’re of the highest possible standard. As a part of this, we offer Brisbane’s best diagnostic services. Our team will work closely with you identify the precise source of any leaks in your tiled roof. By diagnosing every leak and its source, we can then develop a plan to provide the best solution. When we address leaks and damage on tiled roofs, our aim is to do more than just fix the problem. Our aim is to restore your tile roof in a manner that enhances its strength and durability. 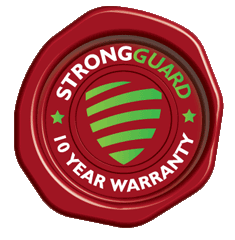 With Strongguard, you don’t just get a quick fix – you get a targeted long term solution that you can rely on for years to come. #3 Can you change broken tiles on my roof? Here at Strongguard, we offer a comprehensive array of tiled roof repair services. One of the most common repairs that we perform on tiled roofs is tile replacement. Roof tiles look great and offer fantastic protection for your home. However, it is not uncommon for roof tiles to crack or break in certain circumstances. Even if you don’t have any have spare tiles, we can source the same type of tile as your existing ones, so the repair looks consistent. #4 What are weep holes and do I need them? Weep holes are essentially holes in the bedding and pointing of your roof. These holes allow any moisture or condensation to escape from under the ridge caps. This is vital, as it ensures that the area beneath the ridge caps does not become wet or saturated. Should the ridge caps harbour too much moisture, leaks can occur in your roof. #5 Can you fix my leaking tile clips? There are several combinations of tiles and clips that can give rise to leaks. Here at Strongguard, we are familiar with all of these. If you only have a few leaks, then we can remove the problematic clips from inside the roof. If the issue is more widespread however, we may need to fully re-clip your roof. This involves removing all the roof tiles on your roof, and refitting them with new clips. This is a relatively extensive job, although it will prevent all the leaking and improve the quality of your roof.